The Nielsen Co. has admitted errors that have significant repercussions for the advertising industry, according to AdAge.com. The research firm revealed computer error had caused it to under count Internet traffic – time spent viewing by 22 percent – and other related flaws including data on social-media usage. Specifically, Nielsen’s system erred in recognizing long URLs – formally known as Uniform Resource Locator. That’s the global address of a Web site. Ostensibly, the issue has been ongoing for months, but it will be reportedly fixed in time for December’s results which will be reported in Jan. 2011. It mostly affected the data for URLs with 2,000 characters or more. Usage wasn’t counted on such sites, which are mostly social networks such as Facebook. But it also means some of the data wasn’t counted for visits within a Nielsen’s panelist visit. In a sense, the errors aren’t a surprise. Publishers have insisted that their own internal visitors’ data differed from Nielsen’s and from some reports by comScore, a competing market research firm. At the very least, it’s commendable that Nielsen made the disclosure. “…every element of our internet measurement methodology, including the panel, collection capabilities and processes” is under review. “We need to do a better job keeping pace with the rapid evolution of the internet,” said the letter, signed by media services president Steve Hasker and Mr. Paparo. The Nielsen executives writing the letter were Ari Paparo, executive vice president of online products, and Steve Hasker, media services president. Mr. Paparo previously worked at Google and Mr. Hasker was a partner at McKinsey. The investigation results will be reviewed by the Media Rating Council, the accreditation organization. Nielsen also promises to be transparent in its study of the problems. The company suggests the data not be used until the crisis is over. Obviously, in reporting these significant errors, this is a painful process for Nielsen. At the very least, it’s commendable that Nielsen made the disclosure. Let’s hope the company is sufficiently contrite. The financial repercussions might also be significant in the amend process. Are You Committing The Seven Deadly Sins of Selling? Though still a small percentage, Internet sales continues to garner a larger share of retail sales as a result of a robust trend that started several years ago — thanks to the wealthy. Retail and food sales barely chugged along at $422.8 billion in June 2013 for a mere monthly increase of 0.4 percent, says the U.S. Census Bureau. But non-store retailers, such as catalogs and Internet sales, jumped 13.8 percent over June 2012. Internet retail sales increased to an aggregate $32.9 billion in the U.S. during the second quarter of 2010, according to research firm comScore. That was a 9 percent increase over 2009’s total, and represented the third straight quarter of increases after the previous weak sales during the downturn. Sales were up 17 percent among households with an income of $100,000 or higher. — Computers/peripherals/PDAs; and books and magazines. It’s also worth noting that retailers with multi-channels gained the most market share vis-à-vis companies with merely an online presence. It also underscored how the affluent fared better in the Great Recession and afterward during the so-called economic recovery. Why it’s Never Too Early to Plan for Q4 E-commerce — It’s never to early to get ready ASAP for Q4 online sales. Why? A study of e-commerce released in 2012 covering from November 24 to December 24, 2011, discloses some secrets you might need to know. Checklist to Create Cyber Monday Sales Success — In order to celebrate your Cyber Monday sales, you must first create a happy buying environment. That means reviewing your store and Web site to attract prospects and to create happy customers. If you’ve prepared your merchandise and cleaned your store, you’re half done in creating happy customers. In U.S. Internet searches, Google sites dropped a bit while the Yahoo and Microsoft Web sites experienced an increase in visitors in April 2010, according to the latest comScore Core Search Report. The research company also reports there were 15.5 billion searches last month. Google’s market share was 64.4 percent – down .7 percent from 65.1 percent. Yahoo’s sites jumped in visitors by .8 percent – from 16.9 to 17.7 percent. Microsoft increased by .1 percent from 11.7 to 11.8 percent. “Both Yahoo! Sites and Microsoft Sites have experienced gains due in part to the introduction of new site navigation experiences that tie content and related search results together within several channels,” according to the comscore press release. Here’s the link for the comScore press release. From the Coach’s Corner, here’s a helpful article on Six Ways to Test Your E-commerce Site. 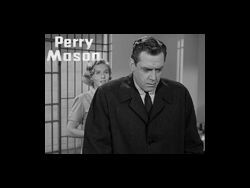 Every now and then, one of my pleasures is watching online television, especially the nostalgic black and white versions of the Perry Mason TV series. It was a wildly popular, revolutionary CBS program based on the books by Erle Stanley Gardner. Now, it’s fun to see how southern California looked in the late 1950s to 1960s – the buildings, streets and, of course, the cars. One of my favorite cars was Perry Mason’s 1958 Cadillac convertible. As an elementary school-age youngster, it was great delectation to watch the Saturday night drama as we enjoyed Raymond Burr et al as we munched on popcorn or roasted peanuts. More often than not, I could predict who the villain would turn out to be — by simply paying attention to the actors throughout the program. Then, I compared them in the closing minutes with the actors shown sitting in the courtroom watching DA Hamilton Burger duke it out with Perry Mason. You see, the criminal usually turned out to be the person who was not shown in the scenes just prior to Perry Mason’s miraculous courtroom revelation. I kept my secret of how I predicted success from my family for years until they no longer cared. The series is now a popular online CBS offering. Decades later, I’ve also discovered that I’m not alone in my baby-boomer acceptance of commercials in the online programs, according to a research firm, comScore. A report dated April 1, 2010 contained good news for advertisers and it proved to be timeless. Really? So even in this age of instant gratification in which consumers expect fast, free products and services, there’s acceptance of the concept that online TV has to be somehow financed. Either we pay for the program or we watch the inserted commercials. “As cross-platform TV viewing becomes more widely adopted, it is important to understand the driving forces behind this shift in consumer behavior if we are to effectively monetize this emerging medium,” says Tania Yuki of comScore. Ms. Yuki concludes viewers of online TV programs would tolerate commercials. The norm is four commercials minutes an hour, but she says the data shows they would accept six to seven minutes per hour. What are the motivations for online TV viewing? 74 percent indicated convenience for their schedule. 70 percent cited the convenience of being able to stop and play the programs. 67 percent enjoyed the luxury of fewer commercials than TV. To read more of the data, see the press release. As for the old black white Perry Mason series on CBS with commercials, they’re still online. Best Practices to Ace Your Low-Budget Online Video Conference — When a visual, live discussion is needed, video conferencing is more effective than telephone calls. 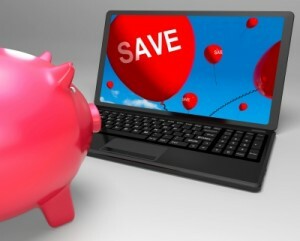 They are a great strategy and provide savings in time and money for professionals separated by geography. In human resources, video conferencing is a great tool for job interviews and is seamlessly scaleable but relatively easy to conduct even for training with learning labs and breakout sessions. Data for Americans’ New Passion — Internet Videos — If your business Web site doesn’t have videos, you’re missing an opportunity for growth. Data from the Interactive Advertising Bureau is enlightening: In America, 11,000 online videos advertisements are watched every second – 23 minutes of video ads a day — a total of 28 billion video ads every month. That’s a 23 percent increase from 2010 to 2014. Great News for Web Publishers: Video Ad Spending Explodes — The global real-time bidding (RTB) expenditures on online video advertising is forecast to hit $1.14 billion in 2014, according to an independent consulting firm. The Forrester study commissioned by SpotXchange reveals real-time bidding will account for 24.7 percent of U.S. online video advertising spending.